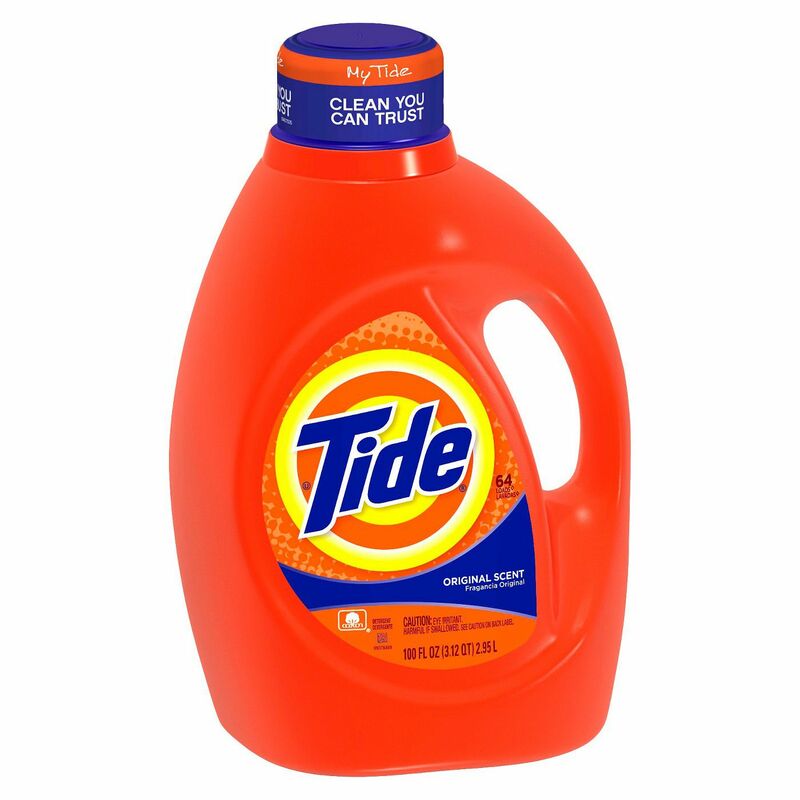 Tide is the stuff of laundry legends. It’s one of the solid, long-standing leaders in the laundry game, and for good reason: It gets clothes and other linens clean. It’s not the cheapest detergent on the shelf, but you know it works. It also comes in a variety of formulas to match most any laundry needs, including pods, liquids, and powders, but this classic formula is chronically proclaimed the best of the best by loyal users. They say it leaves clothes clean, bright and smelling great. As with all Seventh Generation products, it’s never tested on animals, and the bottles are made from post-consumer recycled plastic, which uses less energy and creates fewer greenhouse gas emissions than typical plastic bottles. Hard water can be hard on clothes, but the right detergent can help. This one from Rockin’ Green gets a hard yes from customers. Specially formulated for hard water, it comes in a variety of fresh, rockin’ scents, including Lavender Mint Revival, Smashing Watermelons and AC/DSea Breeze. Gentle enough for baby clothes and linens, yet tough enough to get stains out, it can be used for all your laundry need. It’s also highly concentrated, so you need just a couple Tablespoons per load. In fact, one 45-ounce bag will do up to 90 loads of laundry, and its green formula means it eco-friendly too. Customers rave about this laundry detergent, they say it cleans well, works especially well on cloth diapers and is economical. One of the earliest lessons of laundry learned is to separate lights from darks to keep each looking their best. To take things even a step further, there’s this liquid laundry detergent from Woolite that’s designed especially for that pile of darks to prevent them from fading and keep them looking bright. The formula is also designed to remove pilling and prevent shrinking and stretching. Basically, it promises to keep your clothes looking like they did when you bought them for longer. Customers say it delivers on that promise too​—they say it really makes a difference in their dark clothes and jeans, keeping the colors sharp and clothes looking good. 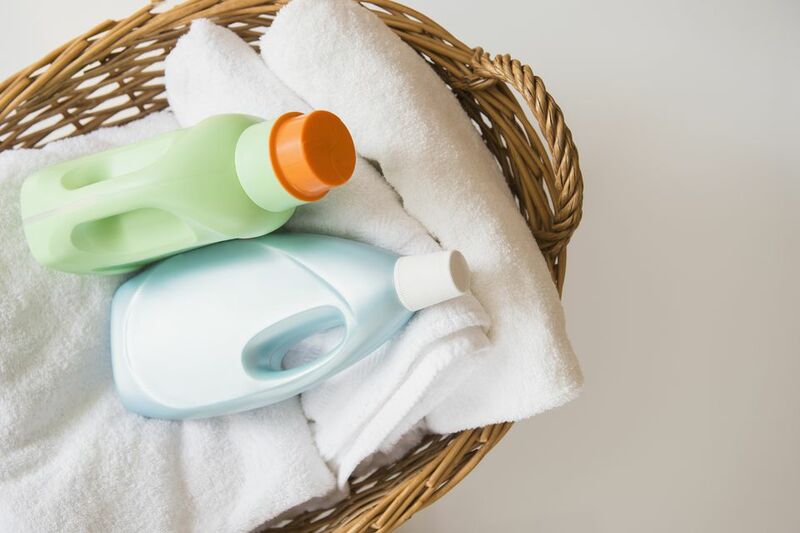 Our clothing and linens surrounded our skin day and night, so if you have sensitive skin, harsh and heavily perfumed laundry detergents can cause major issues. Fortunately, there are those made especially for sensitive skin, and All delivers a fantastic formula that even customers with the most sensitive skin can tolerate. It contains no perfumes or dyes whatsoever​ but produces fresh, clean clothes. While it comes in various forms, these Might Pacs are convenient, as you just toss them in and go, with no need for messy measuring. Customers say they love the lack of scent, and that the price is more affordable than other similar detergents. When it comes to sweaty, stinky workout wear and other odors, you need a laundry detergent that packs a powerful punch. Loyal customers say this power wash from Nathan will knock odors clean out of clothes. It promises to remove 99.9 percent of odor and stains while still keeping the wicking, water repellency and other benefits of your performance gear. You can use it to hand wash garments or in the washing machine, and on everything from delicate fabrics to towels—basically on anything that smells funky. Customers say this formula truly gets the stink out of stuff, and that it’s a must for those who workout, play sports and are otherwise active. For your most delicate pieces, you need a detergent that’s going to treat them delicately to keep them looking good. This one from the Laundress is designed to do just that. It’s great for things like lacy lingerie, silk blouses, hosiery, and other items labeled “dry clean only.” The company says that 90 percent of “dry clean” items can be washed, including silk, nylon, rayon, lace, and more, which can add up to big savings. As gentle as it is, it also works hard to remove stains, oils and smells from fabrics. The scent is a mix of amber, bergamot, lavender, and musk—to leave your garments smelling fresh and clean. Many detergents are too harsh for the sensitive skin of newborns, but Dreft is designed with them in mind. For more than 80 years parents have trusted this brand to provide a gentle clean for all those adorable little baby clothes and linens from booties and bibs to crib sheets and blankets. The scent is light and sweet, and the formula is hypoallergenic. It comes in formulas for various stages, with number one being for newborns, two for “active baby” and three for toddlers and beyond. Parents swear by this product—they say they love the smell, it cleans well, and some are such fans, they use it for their entire family’s laundry.